Why did the feds roundup the Diamond wild horses? 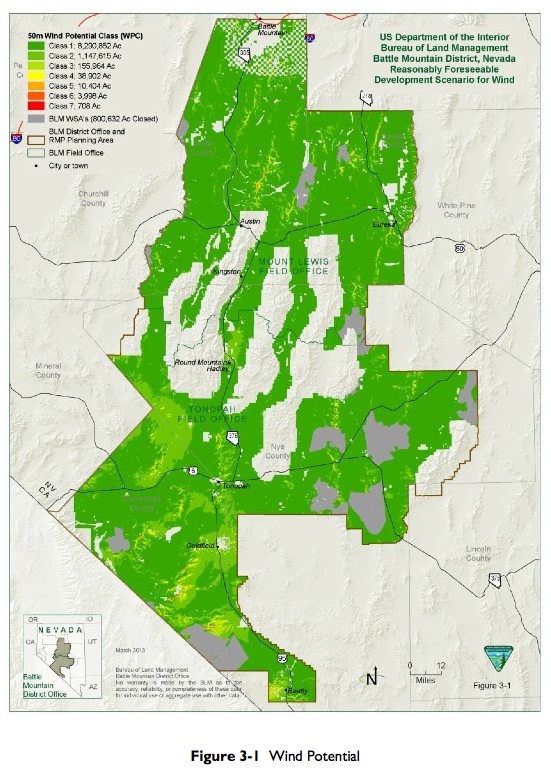 Battle Mountain, NV – The Bureau of Land Management (BLM), Mount Lewis Field Office is seeking public comments on the Environmental Assessment (EA) for a proposed Copper Basin Exploration Project that would be located five miles south of Battle Mountain, NV. Newmont Mining Company has submitted a Plan of Operations to conduct an exploration drilling and trenching project. Newmont is proposing to disturb up to 200 acres of their project area which encompasses 3,169 acres. The disturbance would include roads, overland travel, drill pads, and trenches. The comment period begins September 23, 2013 and ends October 23, 2013. Written comments received during this 30-day period will be considered during the decision-making process. 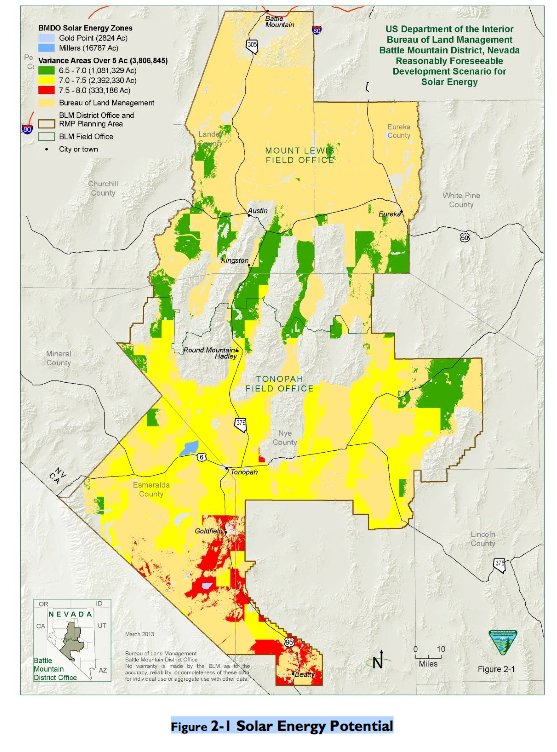 The EA may be viewed at: http://www.blm.gov/nv/st/en/fo/battle_mountain_field.html or a printed copy can be picked up at the Battle Mountain District Office at 50 Bastian Road, Battle Mountain, NV. Before including your address, phone number, e-mail address, or other personal identifying information in your comment, be advised, that your entire comment — including your personal identifying information — may be made publicly available at any time. While you can ask us in your comment to withhold from public review your personal identifying information, we cannot guarantee that we will be able to do so. Questions and written comments should be mailed to David Djikine, Project Lead, 50 Bastian Road, Battle Mountain, NV 89820 or emailed to ddjikine@blm.gov. At the time of writing of this report, the BLM’s solar and wind energy is directed by the regulations and executive orders listed below. The policies and procedures cited in this report are applicable at the time of writing but are expected to evolve over the timeframe of the RMP. The right-of-way (ROW) authorization process, which is required for solar and wind projects, is also expected to change over time. WASHINGTON (November 21, 2011)— Protect Mustangs launches their campaign and petition to stop the frivolous Calico roundup in northern Nevada near the town of Gerlach, known for Burning Man. The mustang advocacy group joins with advocates and the disgruntled public asking President Obama to stop the expensive winter roundup before it becomes deadly. The 2010 Calico roundup was the deadliest roundup in history with 160 deaths attributed to it. Protect Mustangs asks that all other roundups be put on hold until a sustainable plan is agreed to by all sides of the issue. 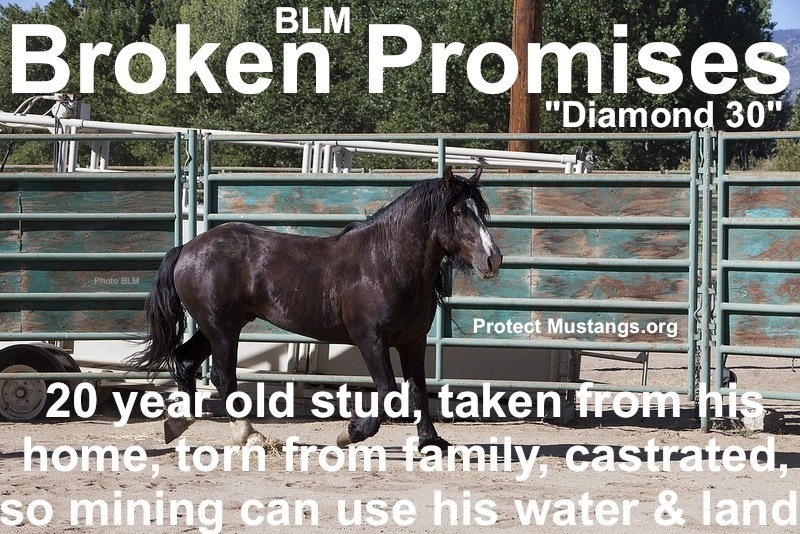 Last year the BLM spent more than 75 million dollars on the Wild Horse and Burro Program. Advocates want to know how that money was spent—line by line. Today close to 39,000 American wild horses live in long-term holding facilities—away from their native habitat. Less than 13,850 live on public land in ten western states. In 1900, 2 million wild horses roamed freely in America. Currently, in the Calico Complex HMA, more than half a million acres, can easily support the less than 1,000 wild horses and burros living there. Livestock currently outnumbers wild horses more than 50 to 1. Protect Mustangs wants to make sure that the mustangs are not scapegoated for damage to the range caused by livestock. Wild horses are being removed from their range at breakneck speed to make room for ‘the New Energy Frontier’. Protect Mustangs wants a sustainable management plan for the wild horses of the West. Meanwhile Protect Mustangs asks President Obama to stop the Calico roundup and put all other roundups on hold until a real sustainable plan is agreed to by all sides of the issue. The Salazar Plan was announced in Fall 2009 and the result was nationwide public outcry and protests. The administration disregarded the will of the people and forged ahead with a dysfunctional policy destined to zero out the American wild horse. Protect Mustangs is a California-based non-profit whose mission is to inform the public about the mustang crisis, protect America’s wild horses on the range and help those who lost their freedom.